The mid-'60s Deluxe Reverb was played on countless hit recordings, becoming one of the most indispensable workhorse guitar amps ever made. 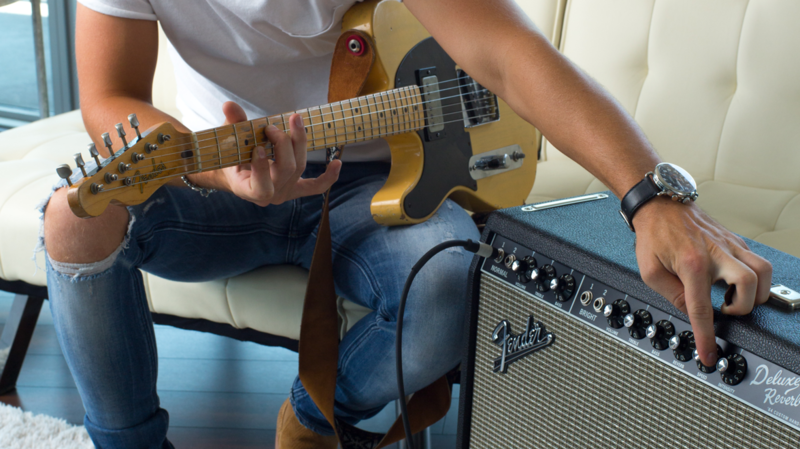 Carrying on that legacy with incredible vintage-style tones, the pedal-friendly '64 Custom Deluxe Reverb features modified all-tube, hand-wired AB763 circuitry for the snappy, crystalline tone only a Fender amp can produce. Modified from the original design, this modern iteration offers luscious, tube-driven spring reverb and rich, pulsating tremolo effects on both channels. 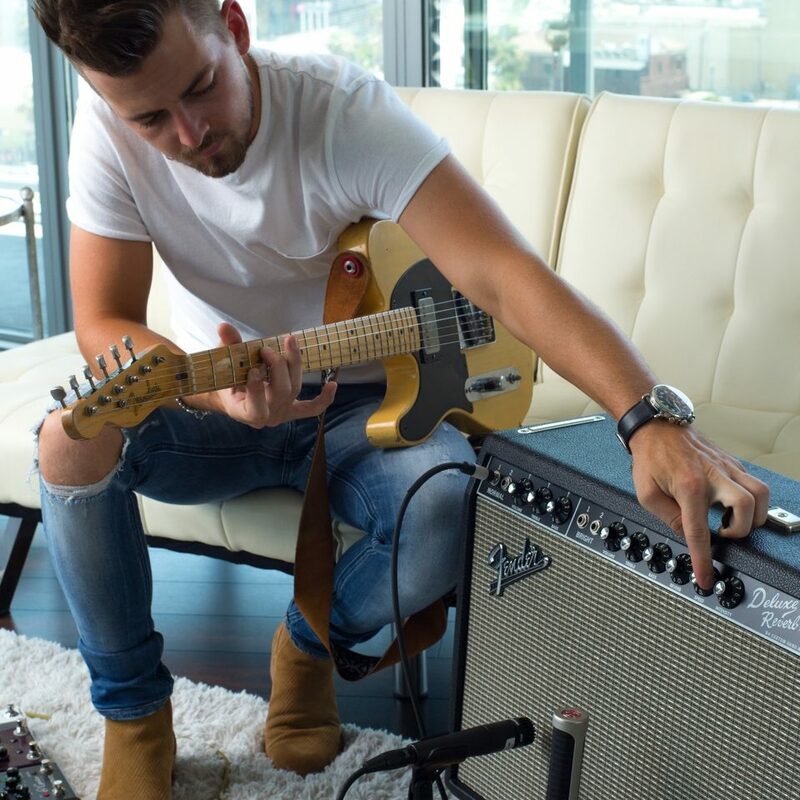 The speaker cabinet is crafted from solid pine for improved resonance and lighter weight, and features an extra-heavy textured vinyl covering and lightly-aged silver grille cloth for a vintage look. 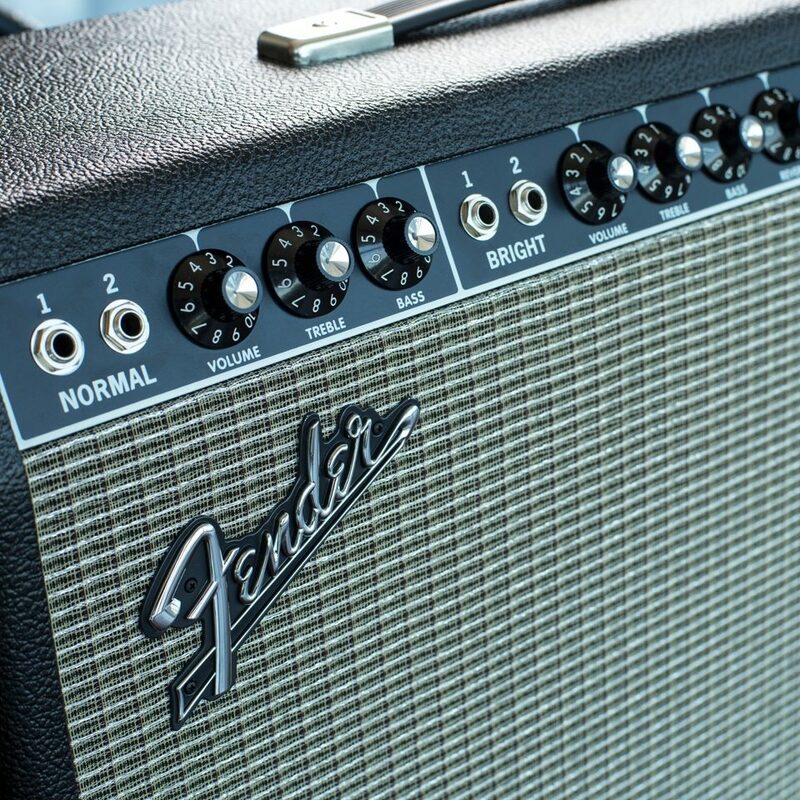 This amplifier's circuitry is all hand-wired, just like the legendary Fender guitar amps of early '60s that defined the essence of pure tone and power. 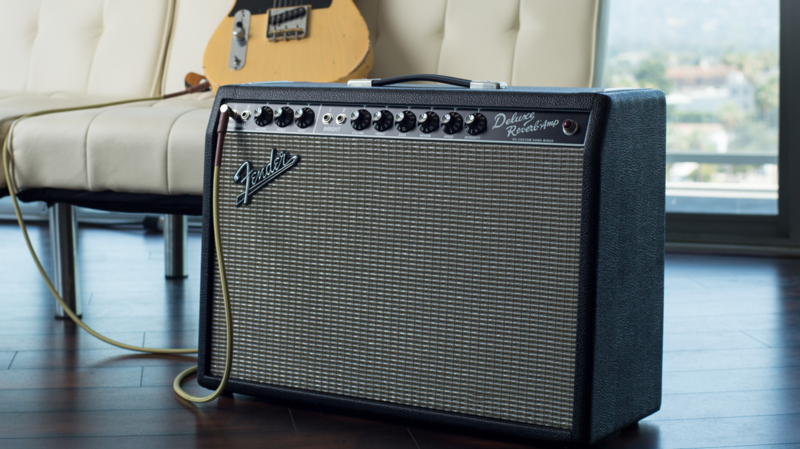 For five decades, the Blackface Deluxe Reverb has been one of Fender’s most revered amplifiers, as it remains an indispensable workhorse played by countless guitarists around the world. 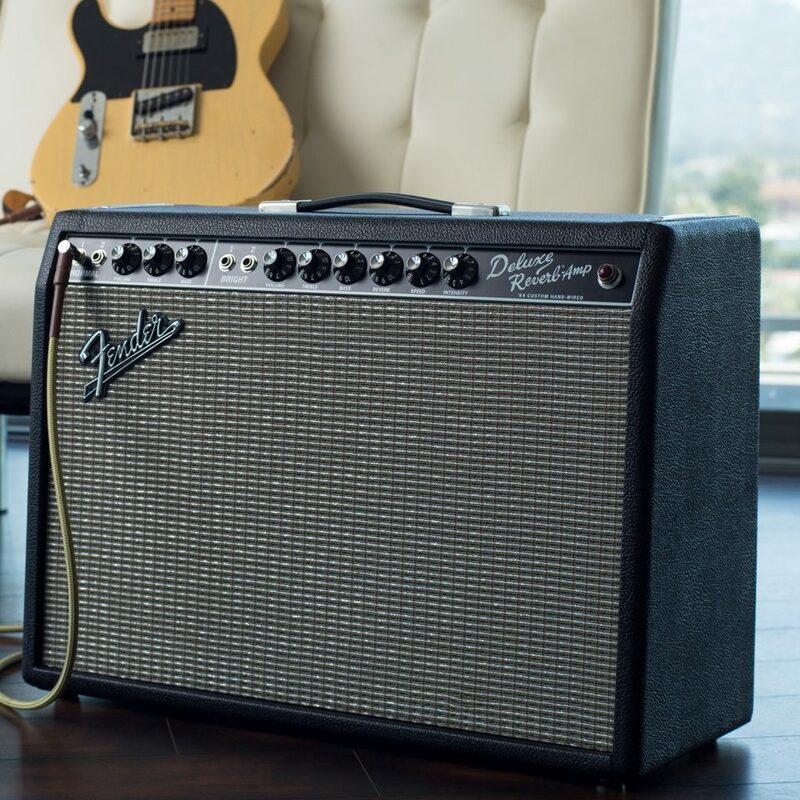 Now, fans will have the opportunity to add a hand-wired version of this legendary amp to their arsenal with the new Fender ’64 Custom Deluxe Reverb. A faithful recreation of the original heard on countless hit recordings, the ’64 Custom Deluxe Reverbs boast hand-wired construction just like the ones that were created so many years ago, in addition to thoughtful tweaks that will appeal to the modern player. 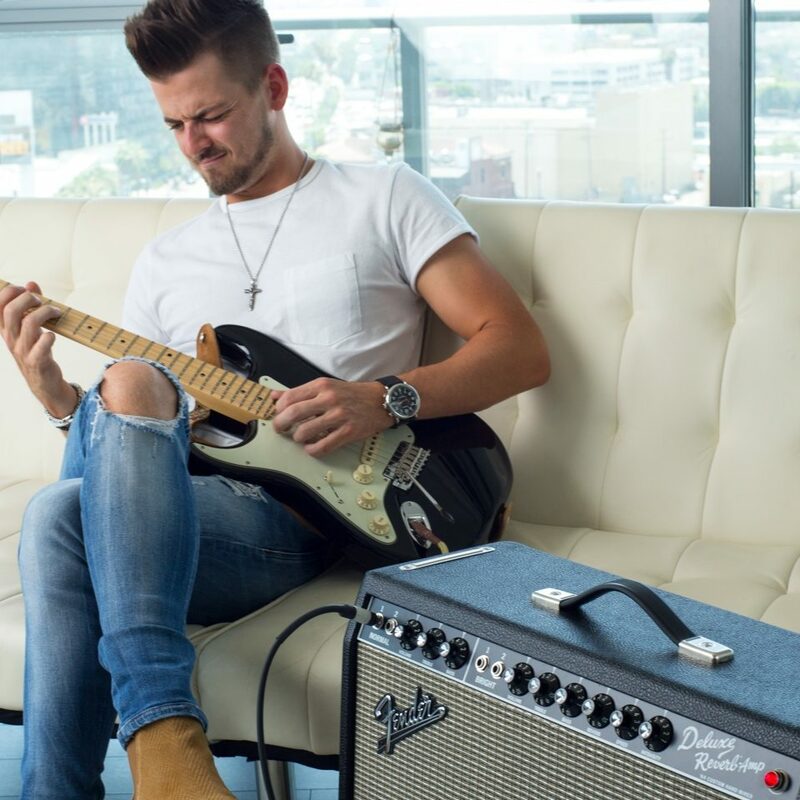 "There are people who feel that because the originals had hand wiring, there was something special to them," said Fender Amplifiers Product Development Manager Rick Heins. "The hand-wiring, in combination with the other thoughtful modifications we’ve made, helps create this distinctive sound." 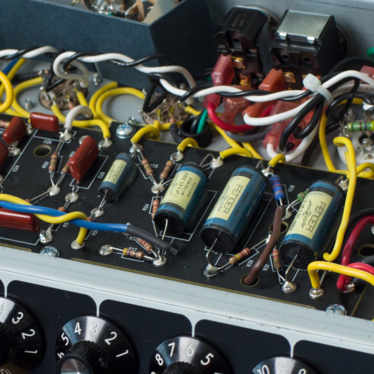 There are several benefits to wiring an amp by hand, which takes eight times as long to build as a printed circuit board. For one, they are quite sturdy once the solder connecting each component from one point to the next is applied. Also, hand-wired boards are easier to service. 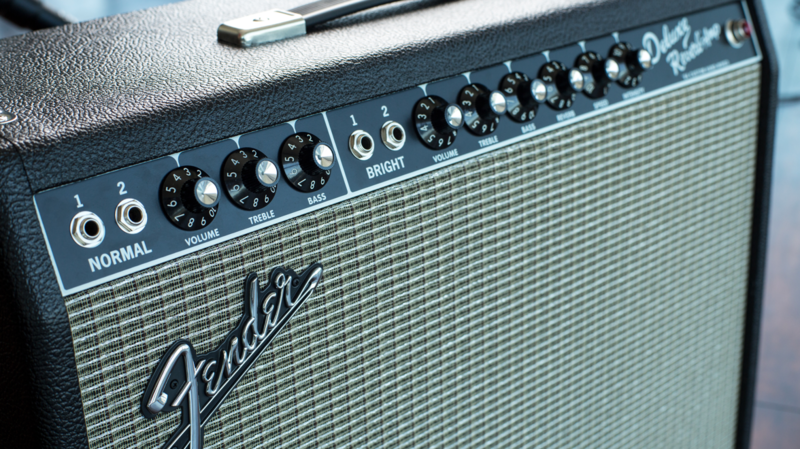 That’s not to say other printed circuit board amps like Fender’s ’65 Deluxe Reissue aren’t up to snuff—Heins attests that they “sound great”—but the hand-wired aspect of these ’64 Custom Deluxe Reverbs take them back to their roots. "For those people that feel they can discern the tone and feel of the hand-wiring, we feel like it’s going to be essential for them," Heins noted. 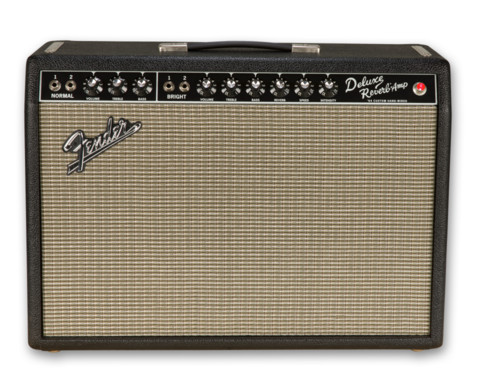 Among the other specifications that harken back to the original Fender Blackface amps, Fender equipped the 20-watt '64 Custom Deluxe Reverb with Vintage Blue Tone capacitors, which were created to mimic the Astron capacitors used during that era, a solid-pine cabinet and a 12" Jensen C12Q ceramic speaker. "A solid pine cabinet is lighter and more resonant," Heins said. "If you knock on it, it actually has a lower timbre than something that was made out of plywood. It does affect the sound. 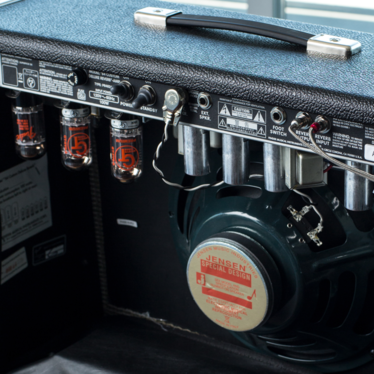 "And the C12Q is closer to the original Jensens used in the amps of the day. It’s got a smaller magnet that will break up a little bit sooner, just closer to the original vibe." Among the updates that will be favorable to today’s players, both the bright and normal channels are voiced slightly different—the bright channel has a bright cap that gives it a little more sparkle than the normal channel—and the traditional opto-coupled tremolo was changed to a bias-modulated tremolo that is typically found on amps like the Princeton Reverb. 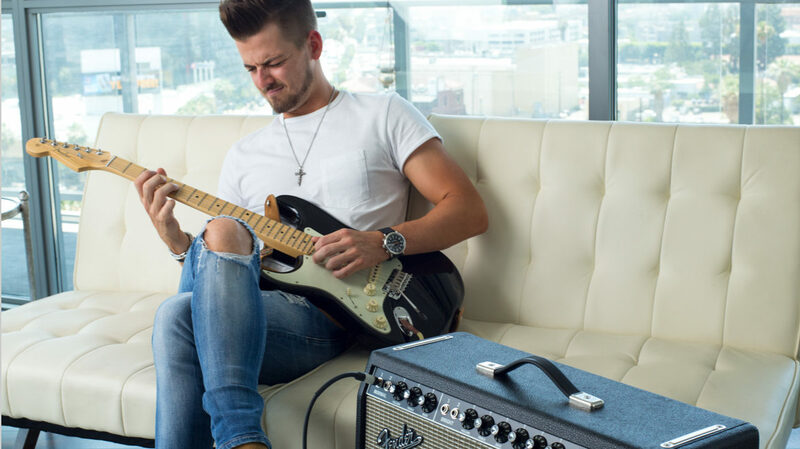 "If you have a humbucker guitar where the pickups are a little darker, the bright side is going to give you a little more top end, and if you have a Tele or Strat, the normal channel is going to be a little warmer, not quite as bright," Heins said. “We also felt that having reverb and tremolo on both channels was an improvement. "The tube-biased tremolo is one of the most beloved tremolo circuits. It’s a little smoother sounding and not quite as staccato." 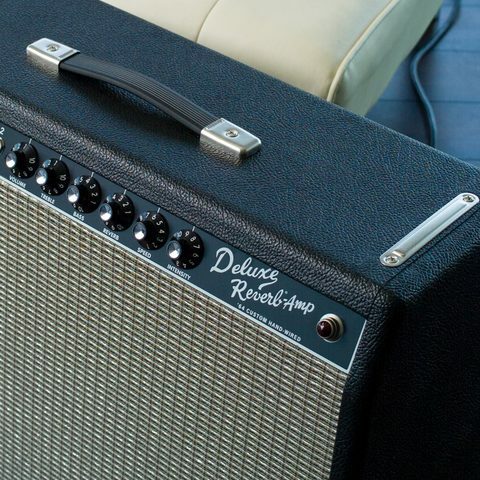 Altogether, the ’64 Custom Deluxe Reverb represents loyal a recreation of a longtime standout to any guitarist’s arsenal for the studio or stage. 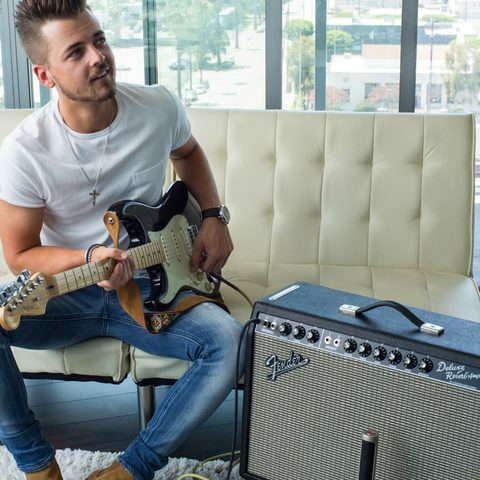 "It always been one of the most adored amps that Fender makes, always on the list for people looking for gear," said Heins. "It’s the perfect volume, size, and weight for most clubs, and it’s an essential piece of equipment for a studio setup."